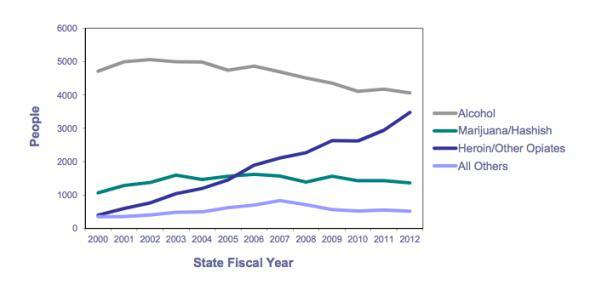 Charts: Vermont's "Full-Blown Heroin Crisis." 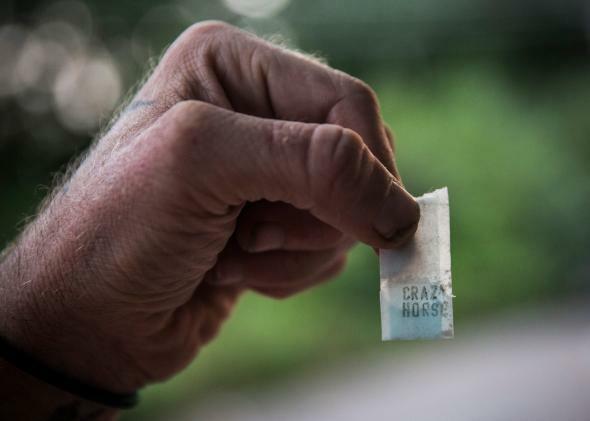 A bag of heroin that would cost $5 in a big city can sell for as much as $30 in Vermont. This post originally appeared in Business Insider. The state has the highest rate of illicit drug use in the country, with 15 percent of people surveyed saying they’ve used within the past month, according to 2010-2011 surveys from the Substance Abuse and Mental Health Services Administration. Heroin use has risen dramatically in Vermont during the past 12 years. In 2000, 399 people were treated for heroin abuse in Vermont. By 2012, that number shot up to 3,479. The epidemic in Vermont might be caused in part by the incentive big-city drug dealers have to do business in smaller towns. A bag of heroin that would cost $5 in a big city can sell for as much as $30 in Rutland, Vermont, the city’s police chief James Baker told Seven Days, an independent newspaper in Vermont. Location is also important. Vermont’s proximity to Montreal makes it an attractive stop for drug dealers traveling from Canada.